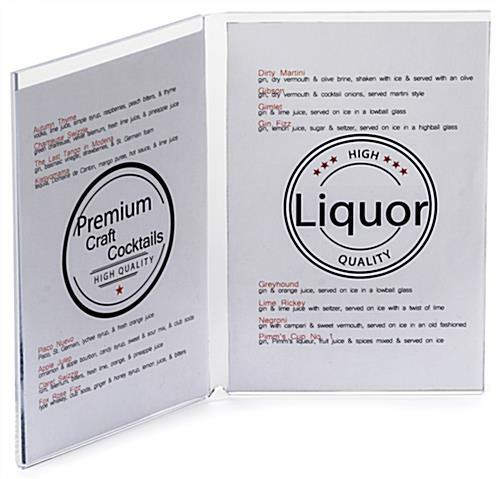 This sign frame holds two 4" x 6" prints in one unit. 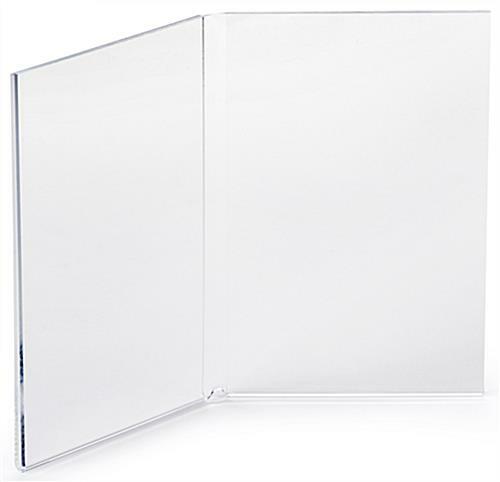 The entire display is constructed with high quality acrylic. 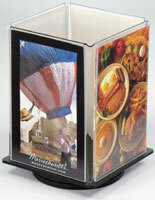 Use this bi-fold menu display, sign frame, to advertise specials on restaurant tabletops or bar counters. Dining guests tend to pay attention to the signage located on the table. 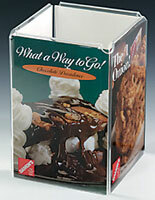 This table tent is the ideal sign frame to use in a dining facility to help increase product awareness and boost sales. 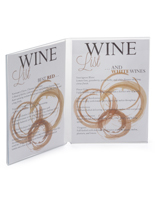 Users can choose to insert two different images side-by-side or up to four different graphics back-to-back. 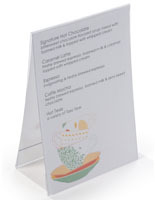 Change this sign frame, also called a menu display, by simply sliding the graphics out through the open sides. 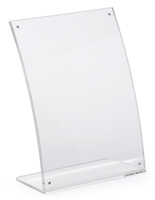 This sign frame, a bi-fold display, is also used to hold pictures on a desk or table. 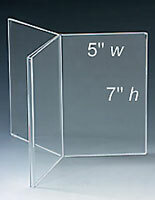 The 4" x 6" size is the most common photo size, making this an economical alternative to costly metal or wood framing. 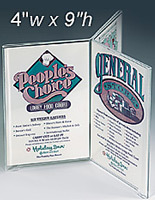 This sign frame protects pictures and signage from dirt and dust. 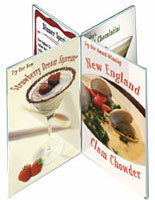 Keep your advertisements looking fresh and new with this menu card holder.